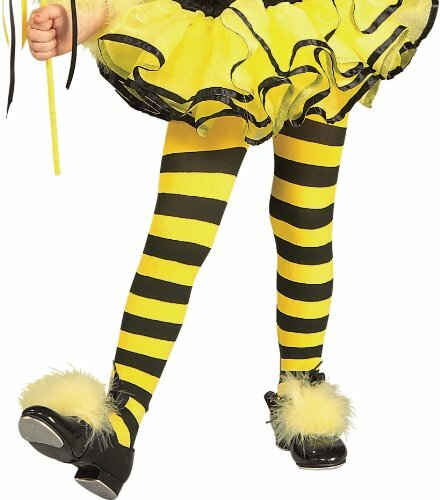 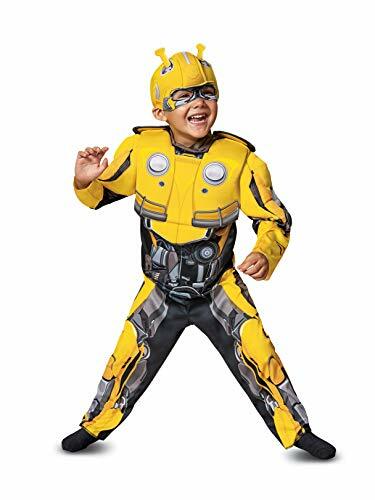 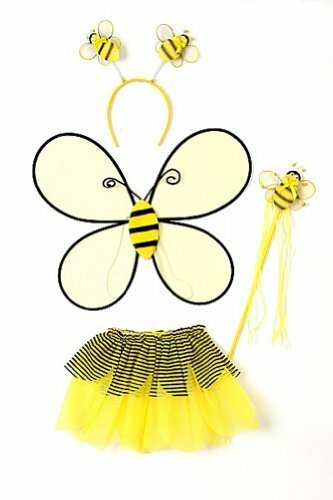 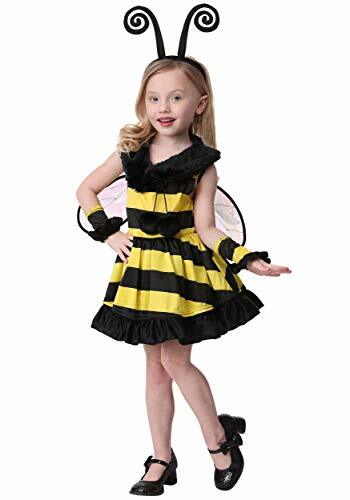 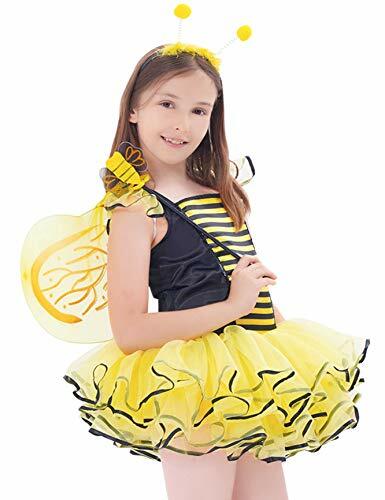 Let your toddler show the world just how important a kiddo can be with this Bumble Bee Costume. 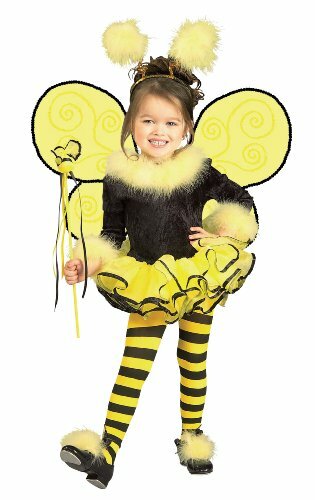 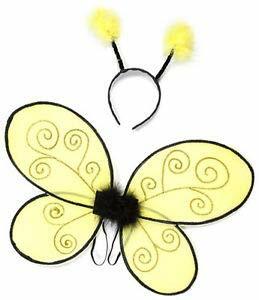 This high-quality look consists of a yellow and black, striped jersey dress with a fuzzy fur collar at the neck and attachable iridescent, wireframe wings. 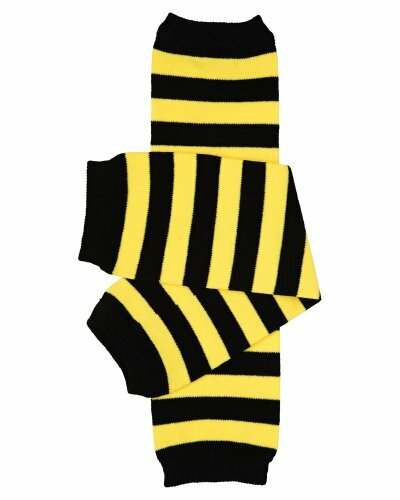 The matching armbands have fuzzy wrists and the headband is a fabric covered, spiral pair of antennae. 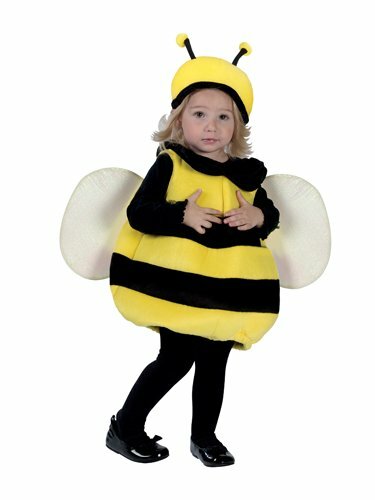 All your tyke needs next is some flowers and maybe a dab of honey!